As I write this, we’re barreling down the road to the retail frenzy that has come to be known as BFCM: the four-day period that kicks off with Black Friday and concludes (in principle) on Cyber Monday, draining post-Thanksgiving coffers across the entire world. It’s a prospective bonanza for online retailers — from Thanksgiving to Cyber Monday in 2017, American consumers spent a staggering $19.62 billion online. Any e-commerce business looking for a hefty slice of that pie must invest in paid advertising, and Facebook advertising is the cream of the crop. Offering complex targeting options fueled by the rich data collected from its 2.2 billion monthly users, it leads the way for ROI and advanced segmentation — but only if used correctly. Configure your campaign incorrectly, or fail to monitor it properly, and you won’t get anywhere. You’ll have two options before you proceed: Create Split Test (which will let your ad sets compete) or Budget optimization (which will automatically spread your budget across your ad sets). Unless you’re really confident about making manual changes, I suggest going with the latter (you can only choose one) because you can then set a campaign level budget and let Facebook figure out which ad sets should get the most investment. Continue, and select Create a Pixel for the website option. 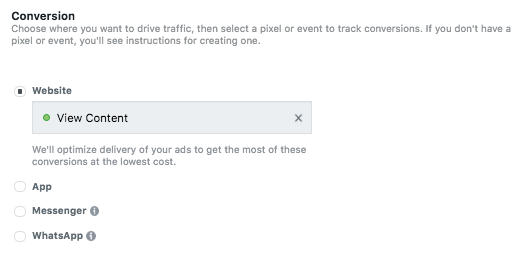 Enter your store’s URL, and once it’s done, choose to set up the Pixel: you can then decide how you implement the Pixel, which is what allows Facebook to track what happens when ad clickers arrive at your site. If you have an Ecwid store, you can integrate it with the Facebook pixel for free. That’s very easy to do and doesn’t involve coding. With your Pixel configured and added, you’ve laid the groundwork, and can now start thinking about the audience you want to target. Scroll down to the Audience section and read on. 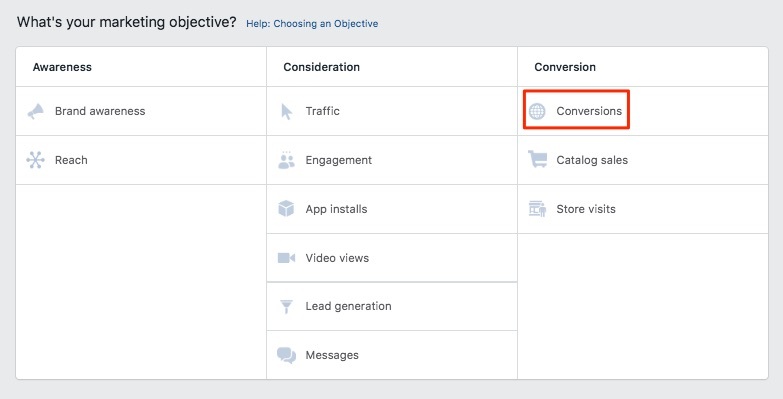 Facebook has a lot of targeting options that let you get really detailed with your ad segmentation, and it’s essential that you use them well. Try not to be too intimidated by the sheer breadth of choices. You don’t need to use every parameter — it’s actually more likely to be damaging if you try, because it will take up a lot of time and prove too restrictive. Spend some time playing around with the settings. Given the hallmarks of BFCM, there are certain demographics that are worth looking at first: gamers, people who work in IT, commuters, those who have liked relevant brands, etc. Closer’s Cafe has an outstanding infographic setting out all the targeting options you can use, so read through it carefully. As you do, think about your desired customers. What traits do they have in common? You’re trying to walk the line between being insufficiently specific and overly specific — getting your ads to the best possible audience. If you’re also running other forms of advertising (email marketing is a must for Black Friday), then there’ll be a lot of crossovers to make things easier. 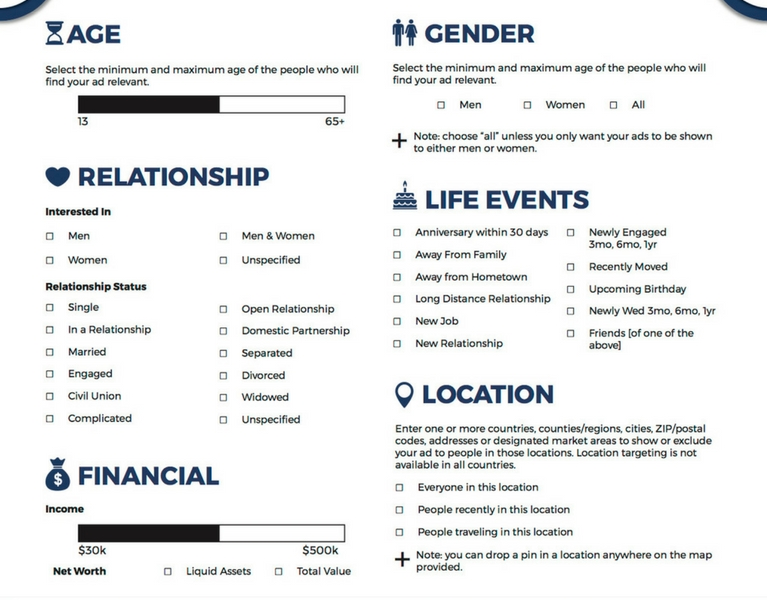 Once you’ve done your segmentation work for one, you can carry the parameters over to the other. Sticking with PPC may mean that your ad being displayed to a suboptimal recipient is unlikely to be too damaging, but it’s likely to prove a waste of time (there’s also the probability that your ad will attract some clicks out of idle curiosity from people with no genuine interest in it, costing you money and giving you nothing in return). If you’re not 100% sure how to proceed, you can always set up multiple variants of your ads, with each one targeting a slightly-different demographic. After a few days, you can review the data to see which is performing the best. If there’s a clear standout, you can point your entire campaign in that single direction. You’ll also need to decide how long you want your campaign to run. You should set it to conclude at the end of Cyber Monday, certainly, but you may want it to run for a few weeks ahead of Black Friday. It all depends on how much you’re willing to spend early on to hype up the event. If you have general brand ads, you can run them earlier, but leave the product ads until your big discounts are live. A Facebook ad can use one of two payment models, with the first being the familiar PPC (pay-per-click) model. Each ad will be served in accordance with your campaign settings, and when someone clicks on it, you will be charged based on how hotly competitive that particular placement was. If someone else is willing to pay more for a click, their ad will be displayed instead of yours. But Facebook also supports the PPM (pay-per-mille) model, which charges you for every 1000 impressions. An impression is simply when your ad is displayed where someone can see it, and the cost is the same regardless of how many clicks your ads get. In general, PPC is the safer bet because it carries less risk. Even if you win a bid and get the placement, you won’t be charged anything unless you get a click, so whatever budget you set will only be used if people click on your ads. This makes it a great choice for product ads. PPM tends to be cheaper, though, so if you have particular ad that you’re confident will convert well, you might want to try swapping it to PPM. If your store is relatively new and you want to use BFCM to become a recognizable brand, PPM is the way to get maximum exposure. Depending on the choices you’ve made about the purpose of your campaign (whether you chose Conversions or something else, for instance), your model may be set as PPC or PPM. If you don’t have a choice in the matter, you’ll need to change your Optimization for ad delivery option to something that supports the payment model you want to use. With your parameters decided, continue and you’ll be at the ad creation stage. Make sure the right Facebook page is selected (your store page), and review the available formats. You can create a carousel ad to show multiple products, or use a single image, or provide a slideshow. You can even use an Instant Experience (formerly known as Canvas) which is a mobile landing page inside Facebook that opens when your ad is clicked. If you have various products to highlight, or you have compelling imagery, give it a try. There’s value in mixing up formats, and you can always change things up later. Set up your links and your text, and see what you make of the preview. BFCM is a frenetic time with a lot of retailers fighting for attention, so it’s even harder to stand out. Put a lot of work into making your ads look fantastic using the highest-quality images you can find, and review your likely competitors to counter their promotional tactics. Keep in mind the aspect ratio requirements of Facebook ads, as well as the various restrictions, such as the limit on how much text you can display in an image (you can use this tool to check an image with text before you submit it, and I recommend you do so you don’t need to wait to see if your image is rejected). After that, you’re ready to get your campaign going. You’ve done the initial work, and now it’s time to move to the most important stage: campaign monitoring. Facebook now has a comprehensive analytics platform called Facebook Analytics, but it can be rough to configure, so only pursue it if you really want to learn how it works. Otherwise, you can stick to Ads Manager and review the results that way. What you want to be doing as your campaign rolls on is seeing how different ads and segments are performing. For each ad, you can go to Audience for a breakdown of the people it has reached, and of course review the targeting options you set in step 2. You may find that certain ads are barely reaching anyone because the parameters you set were too limited. Facebook’s audience prediction isn’t infallible, so it’s possible that it will predict that you’ll reach two thousand people per week but you’ll only reach two hundred. That’s why you can’t just set things up and let them run, even with budget optimization. If something isn’t working, change it. Even over a five-day period, it’s worth tweaking whenever you think it might help. If you set a healthy budget, the intense level of retail activity of Black Friday should give you a lot of valuable data by midway through the day, so that’s a good point at which to review your strategy. What’s working, and what isn’t? Change things up heading into the afternoon, and again before the Saturday, and on a regular basis until Cyber Monday is over. And once it’s all over, don’t just forget about it and move on. Your results, whether good, bad, or somewhere in the middle, could be invaluable for having a vastly improved 2019 BFCM campaign — take some time to study the results and see how you could do better. Facebook advertising is so powerful that it’s the perfect core of a BFCM marketing strategy, but it takes a lot of work to get it right. Run through these steps, find other resources where necessary, and keep experimenting, even as late as the morning of Cyber Monday. Leave no stone unturned! Victoria Greene is a branding consultant and freelance writer. On her blog, VictoriaEcommerce, she shares tips on e-commerce and how companies can improve the way they represent their brand. She is passionate about using her experience to help brands improve their reach.